Strawberry Blonde's Market Summary: Will The Dow Reach 25,000? 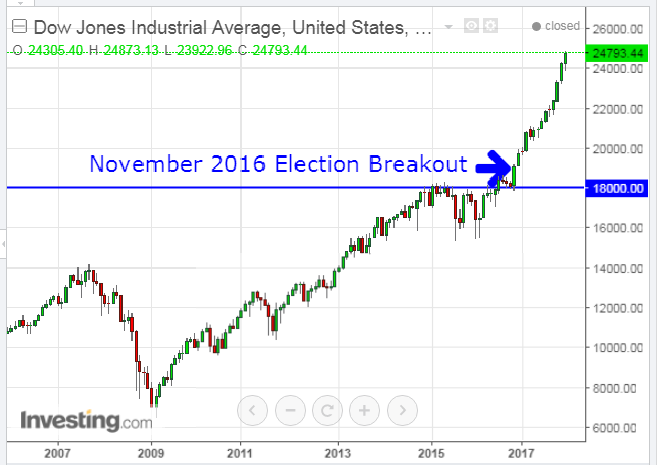 The Dow 30 Index is fast approaching 25,000, as shown on the following Monthly chart, and has gained 35.23% since the 2016 U.S. Presidential Election, as shown on the graph below. 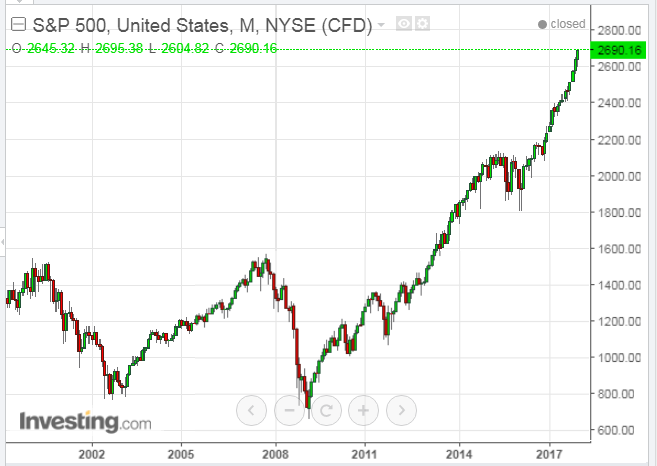 The big question is, in the eight trading days left before the end of the year, can it gather another 207 points to break through to this milestone this year? Keep an eye on the Momentum, RSI and MACD indicators shown on the Weekly chart below. 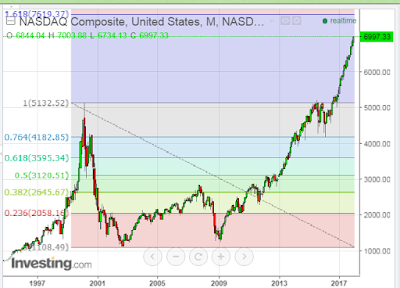 At the moment, they're in strong uptrend, favouring the buyers. Perhaps, if the Republican tax bill is passed in Congress this week, we'll see that feat realized, as bulls look to close out the month and the year on a high note, inasmuch as markets love Big Round Numbers. 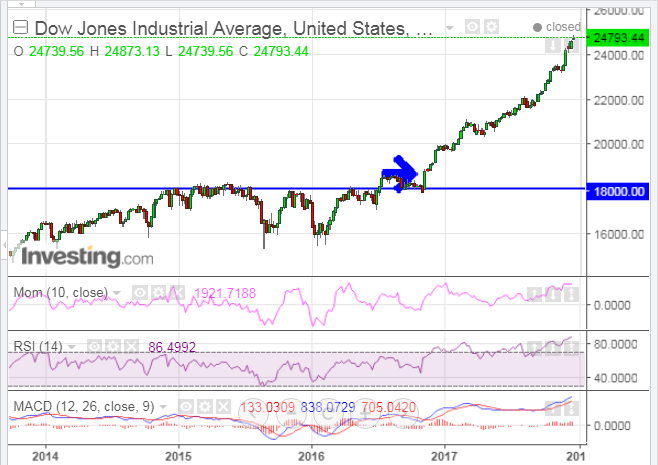 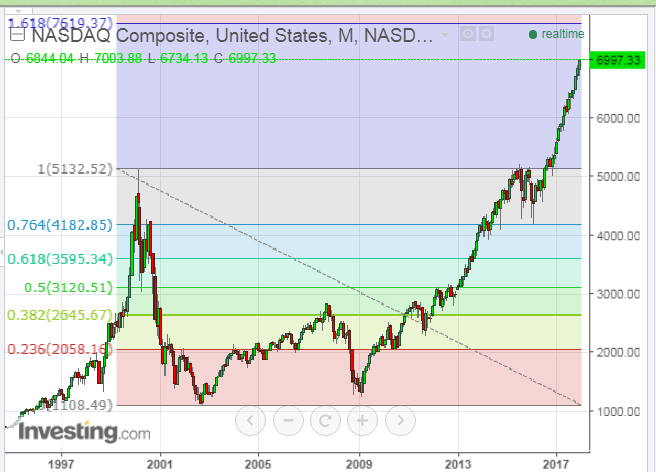 For example, the Nasdaq Composite Index hit 7,000 for the first time today, and the S&P 500 Index came within 5 points of hitting 2,700, as shown on their Monthly charts below. 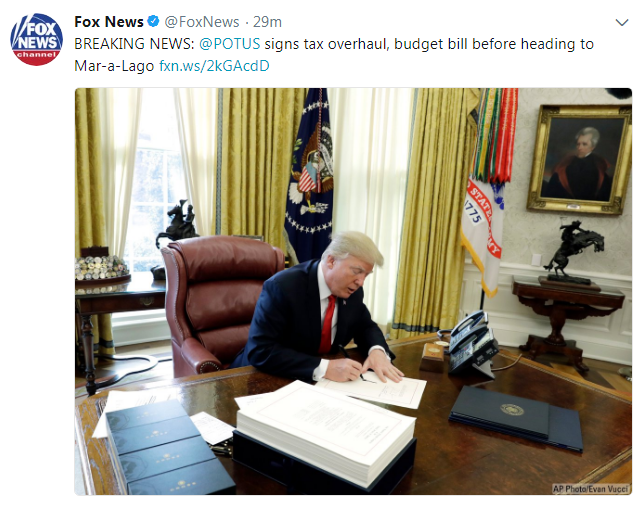 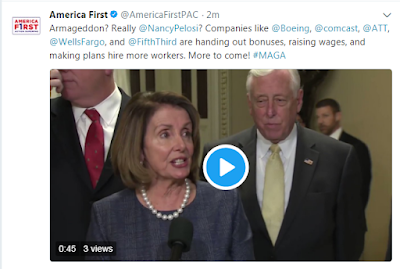 Following Congressional approval of the Tax Cuts and Jobs Act today, many major companies announced pay raises and bonuses for employees, as well as plans to hire more workers and to increase infrastructure spending...in spite of Nancy Pelosi's pronouncement of this bill as "Armageddon." 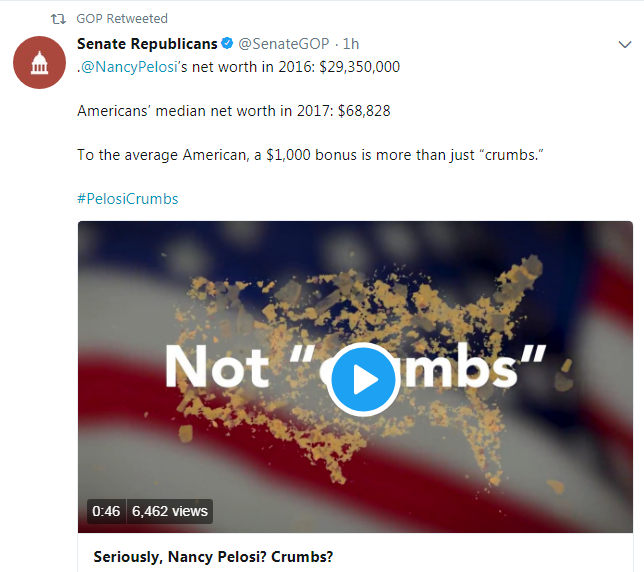 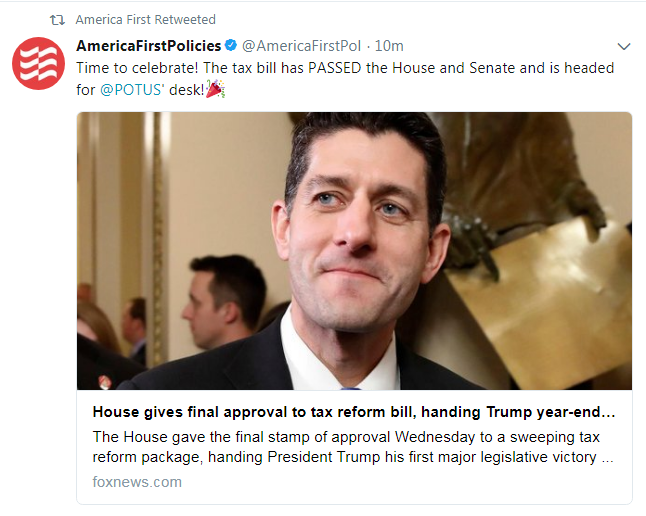 As for Ms. Pelosi's "crumbs," if the Democrats had their way, there would have been no tax plan and zero tax benefits in store for all Americans (since they all voted against this bill in both the House and Senate). 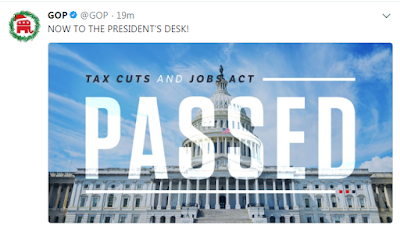 Tune in this time next year to gauge the effects of this historic event on anticipated growth in the economy, GDP, jobs, income, pensions, infrastructure repairs/spending, national defense, stock markets, etc.